BlackwaterBLUE from monkster.com: A Hiddink and Hughes 'dream team'? 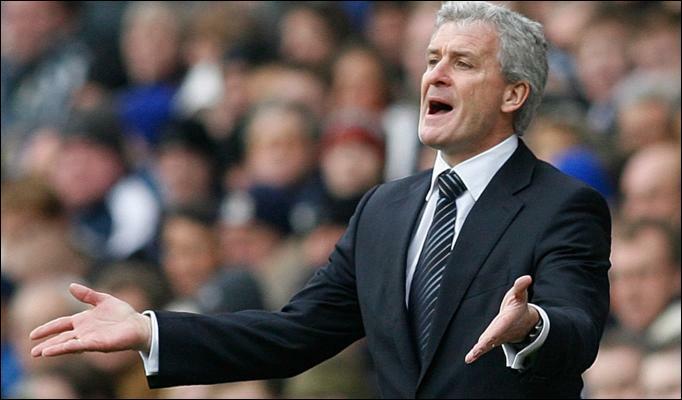 A Hiddink and Hughes 'dream team'? Chelsea owner Roman Abramovich is putting together a managerial dream team of Guus Hiddink and Mark Hughes as the men who he believes can guide Chelsea to the Champions League glory he craves. Abramovich wants 64-year-old Dutchman Hiddink and former Chelsea striker Hughes to combine as director of football and first-team coach and break Barcelona’s European dominance. Negotiations are well advanced and despite the fact that the two men have no previous working relationship, Chelsea’s billionaire owner is confident that they will prove an instant success. The Russian feels the experience and contacts of Hiddink in a more hands-on role than the consulting position he has maintained at Chelsea, where he was caretaker-manager following the sacking of Luiz Felipe Scolari in February 2009, would work well with the training ground and pitch-side skills of 47-year-old Hughes.